The Don horses are quite calm and let people come close. 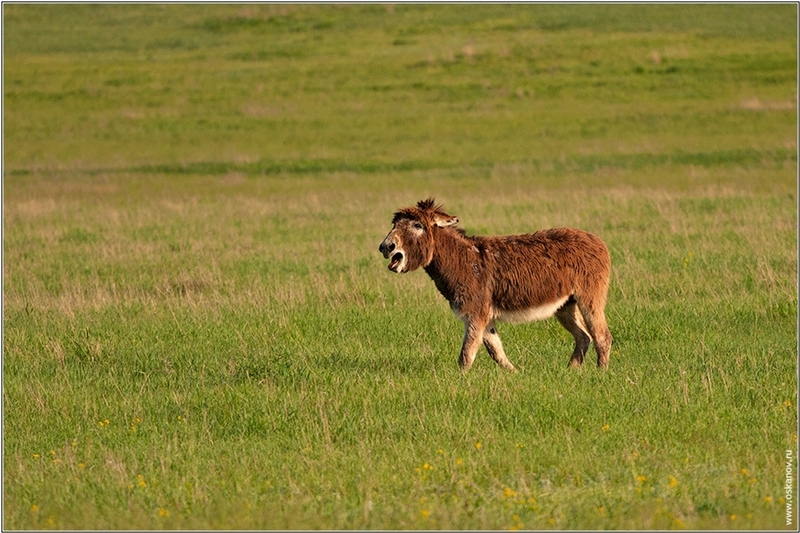 This donkey likes to bother the horses. American bisons. 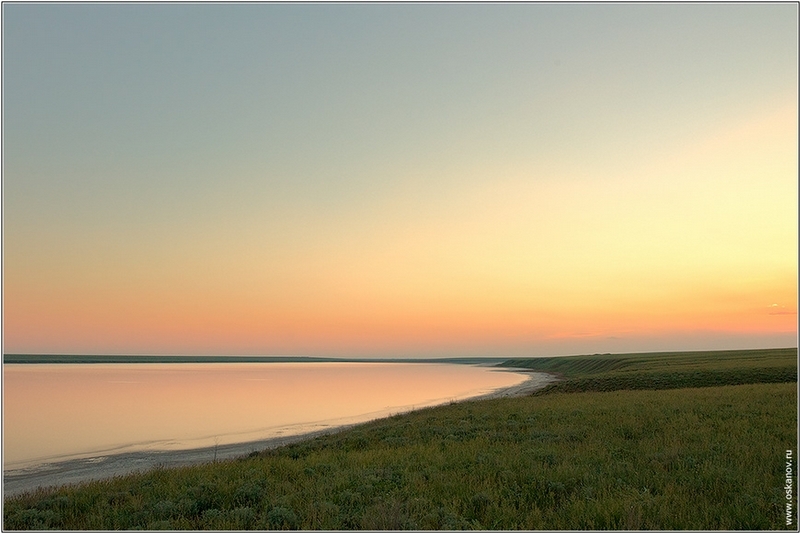 Lowland subspecies of the animal have perfectly acclimatized in the Don steppe. 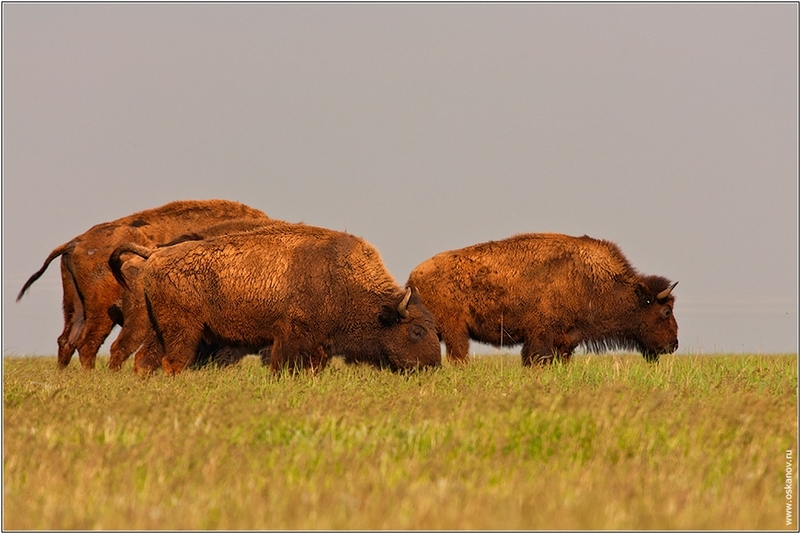 Bisons are polygamous and usually one male is surrounded with harems of females. Such harems may form herds that can reach 15-20 thousand animals. In the time of Wild West they even were massively destructed due to such their peculiarity. 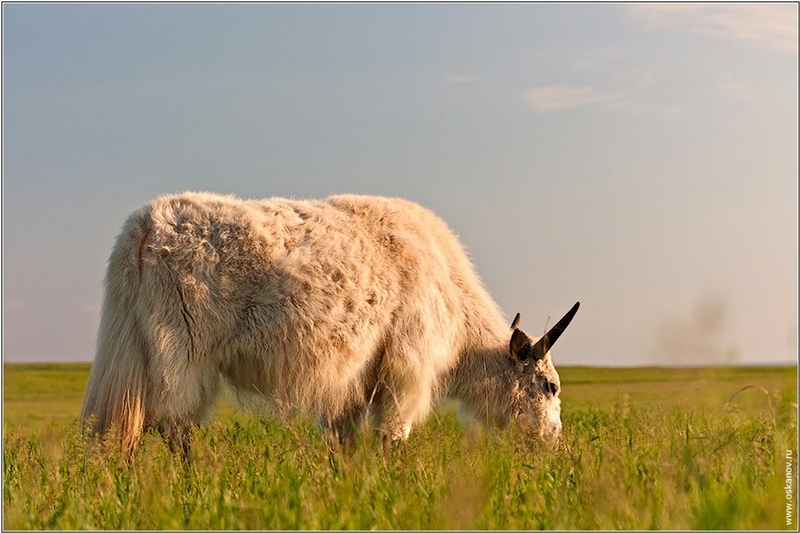 They prevented from land cultivation and destroyed pastures – one animal eats about 25 kg of grass and if a herd consists of 10 thousand animals it produces a devastating effect. Another reason for their destruction was wars with Indians. 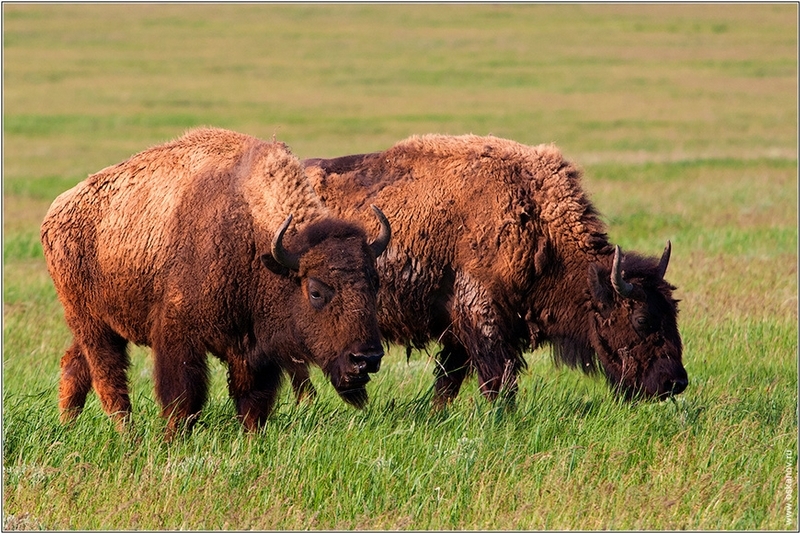 Bisons were the main food for them so their destruction made them starve. Despite the fact they are not predators you must be careful next to them anyway. Males may weigh up to 1 ton and though they do not look as fast animals it’s not so, they may compete with horses at short distances. American prairies are not to much different from Don steppes so these animals feel like home here. 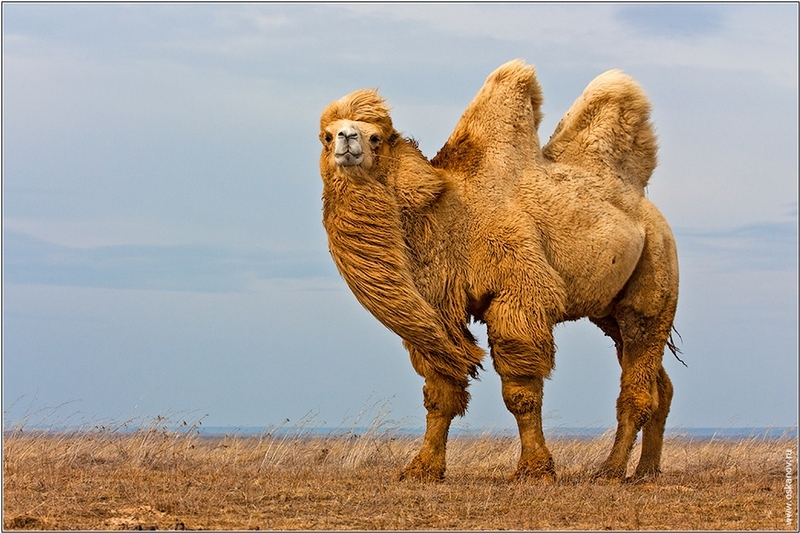 Due to the same reason Bactrian camels feel good being here too. Once they inhabited many wide territories but today they remained only in some hardly accessible regions of Mongolia and north-west China. Camels must be the mammals of the greatest endurance. In the evolution process they developed many wonderful abilities that let them save internal resources of an organism and save water, of course. People used to think that camels stored water in their humps but modern researches show it’s not so: humps serve as reservoirs for fat that splitting provides an organism with necessary nutrients. 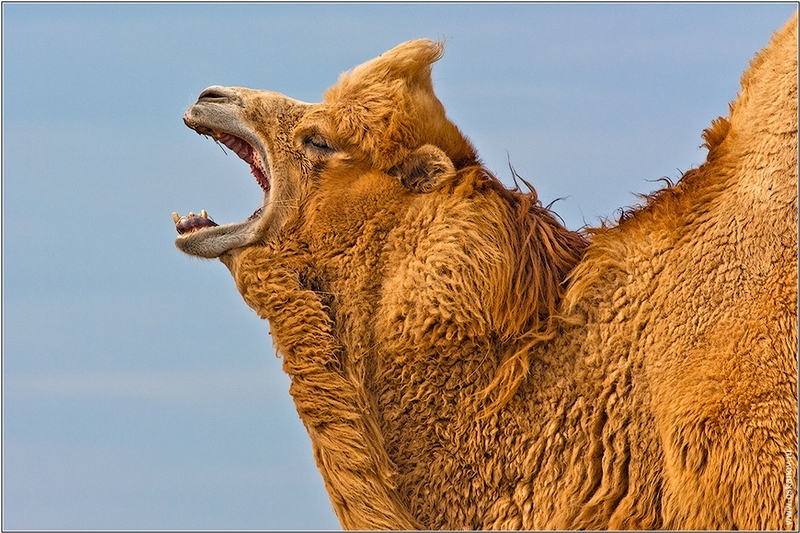 A camel’s organism spends water very carefully: an animal’s nostrils are tightly closed and open only for breathing in or out – it does not let moisture evaporate. Besides camels start sweating only if body temperature reaches 41C. Camel kidneys can obtain water from urine for the second time, by the way. Camel’s hair is also specific. Hollow hair and thick undercoat allow the animals to endure low and high temperatures. By the way, camel’s hair is highly valued by people. 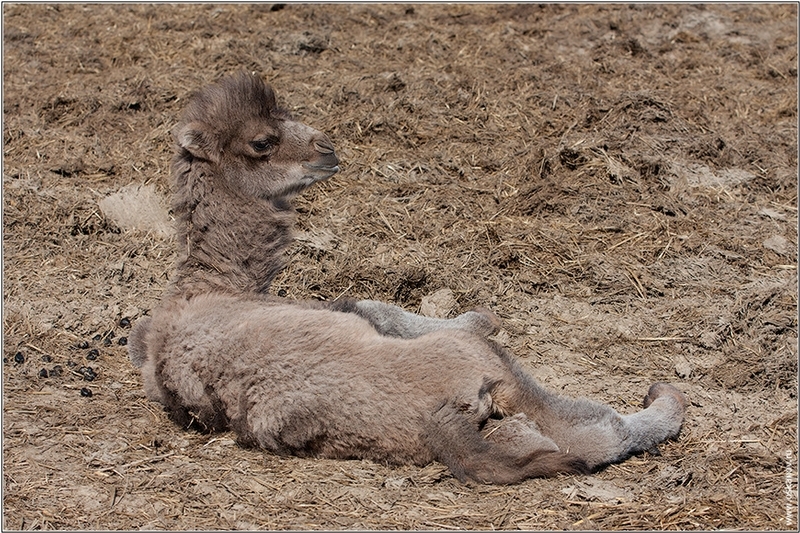 A just born colt of a Bactrian camel weighs 35-45 kg only. 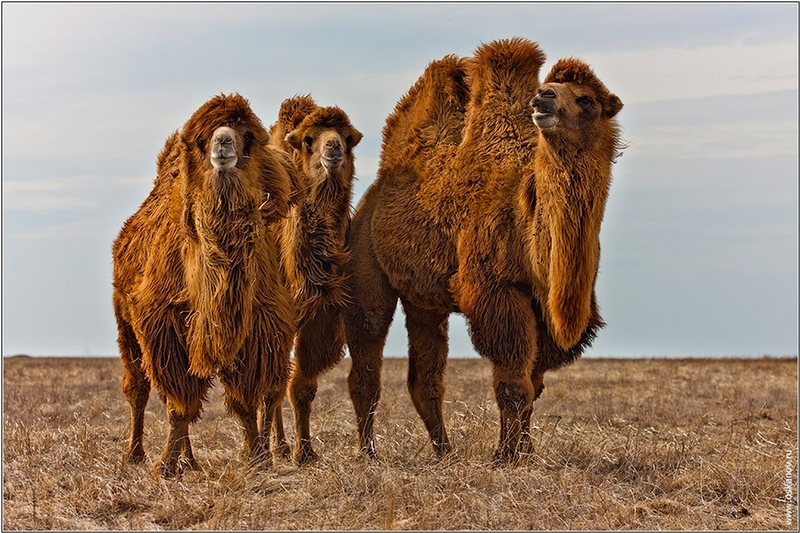 Colts of Arabian camels are much heavier – 100 kg. White camels are especially valued. 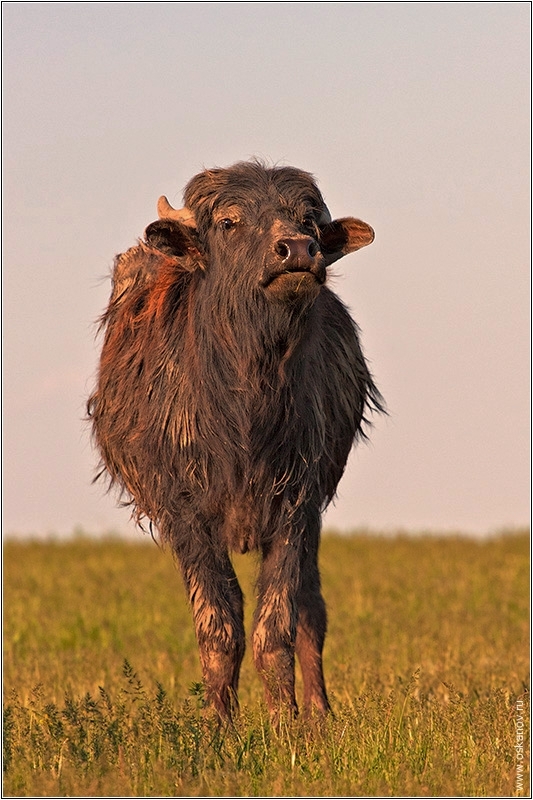 These type of buffalos are rather big, they are second according to size after Indian bisons that inhabit south-eastern Asia. 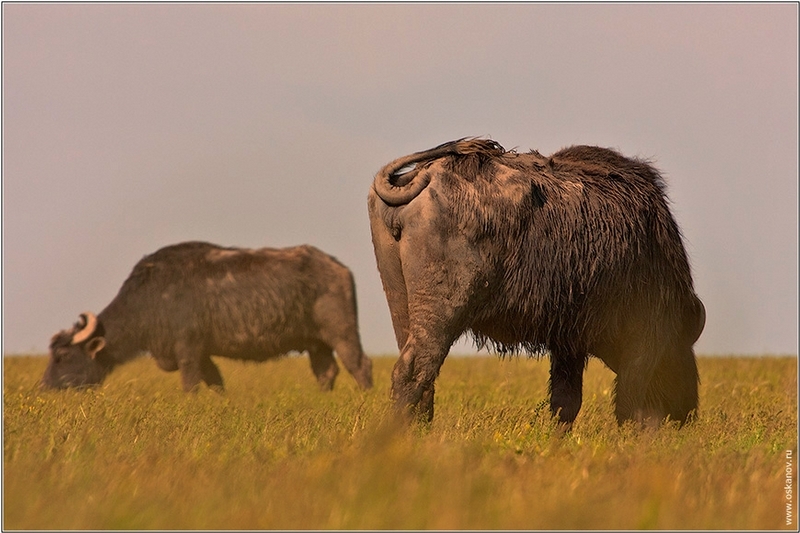 Life of an Asiatic bison is tightly connected with water – it likes to lie half in water to hide from parasites. Thus it often gets dirty and this dirt drying out forms a protective coat. Adult bisons almost have no enemies because even tigers can’t fight them. 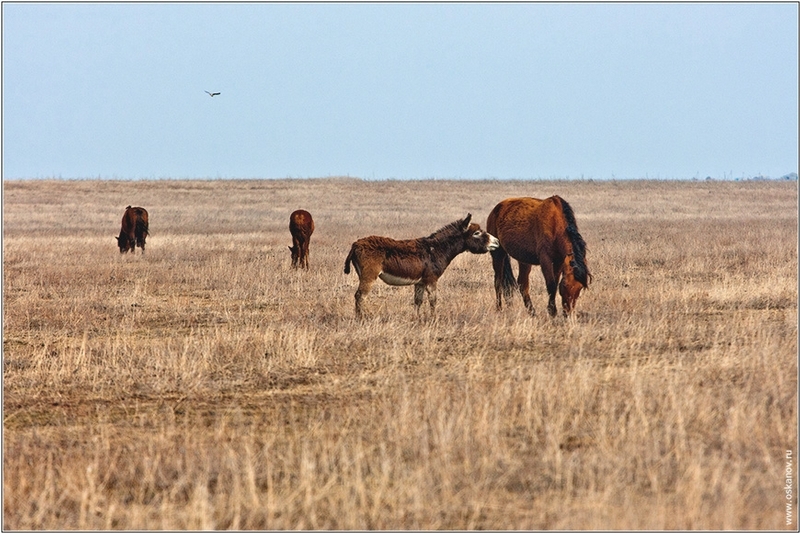 Each herd usually has a leader – an old experienced male. In a rutting season bisons become aggressive. 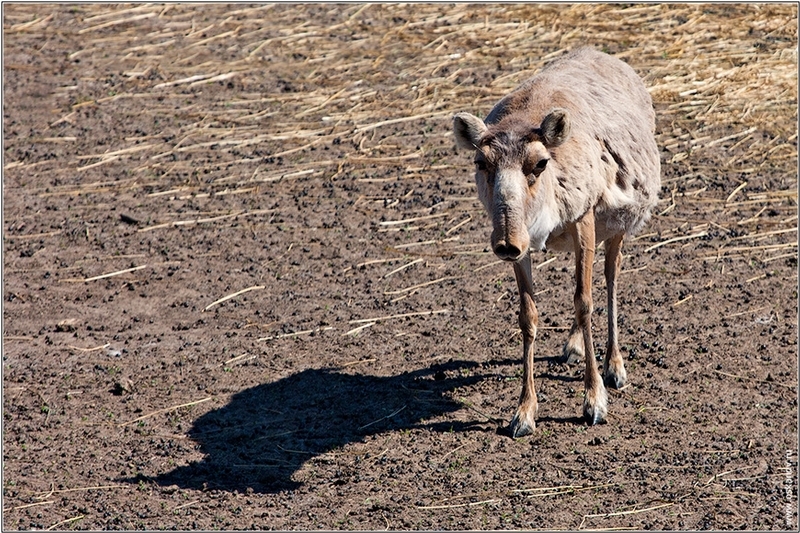 Saiga antilopes look quite exotic, they have real short trunks on their heads. 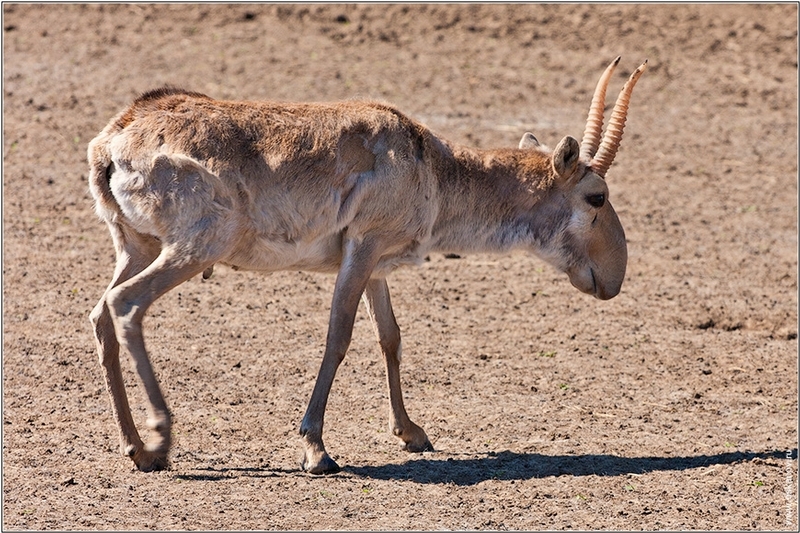 Such “device” helps antilopes to protect respiratory organs from dust. They also say that the enlarged nasal cavity allows them to warm up the air during the speedy heat in winter. 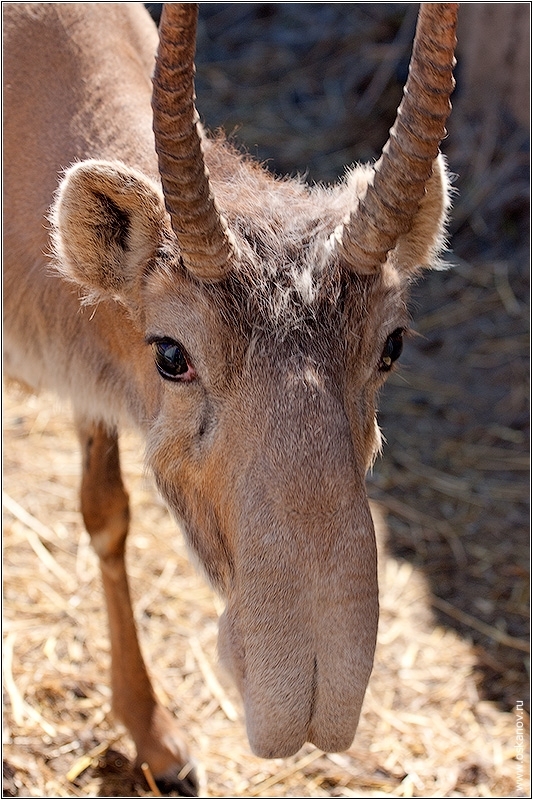 Saiga antelopes are fast indeed, some can reach 90km/h! Sometimes they do not see barriers created by people and it may end fatally for them. Unfortunately, people’s stupidity and superstitions made these species almost disappear. 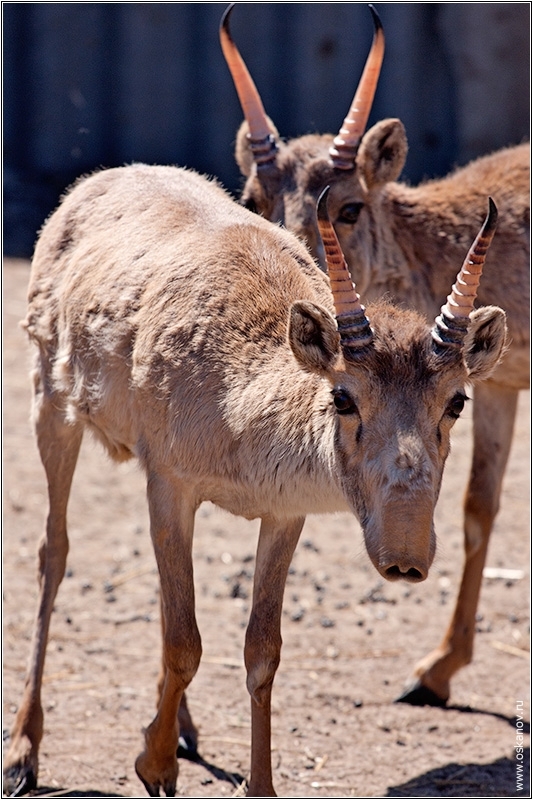 Adherents of folk medicine believe that saiga horn is a highly valuable medicine. Such exotic belief caused mass destruction of antelopes and drastic reduction of their population. Millions of horns were exported to China and Central Asia where they were crumbled up and sold at a fabulous price. However only males have horns and females could survive. Thus one silly superstition destructed the animals that inhabited Asian steppe together with mammoths and witnessed the last ice age. 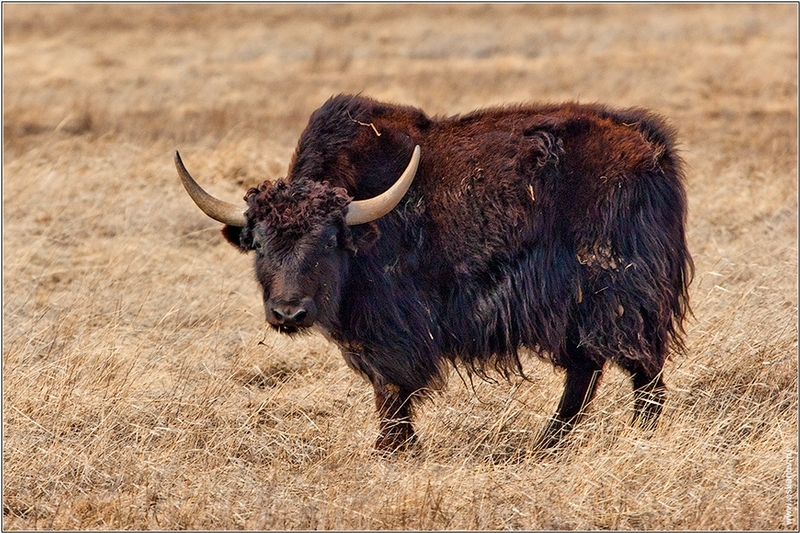 Yaks are originated from far uplands of Tibet. However in the Soviet time this species has been successfully acclimatized in the Causacus. Hair of the animal forms a bell-shaped “skirt” in the low part protecting legs. In the place where they are from they have to sleep on snow and this “skirt” protects them from cold. 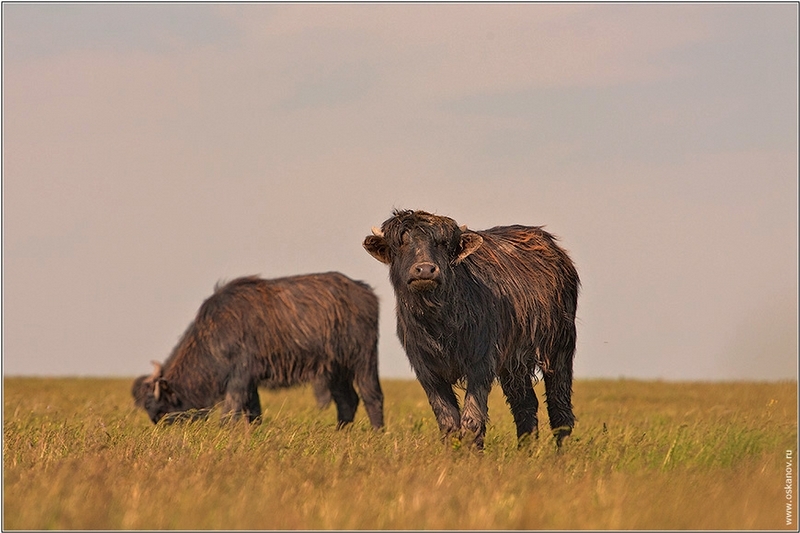 The scientific term defining a yak is bos grunniens – “a grunting bull”, the sounds they produce are similar to those produced by pigs. 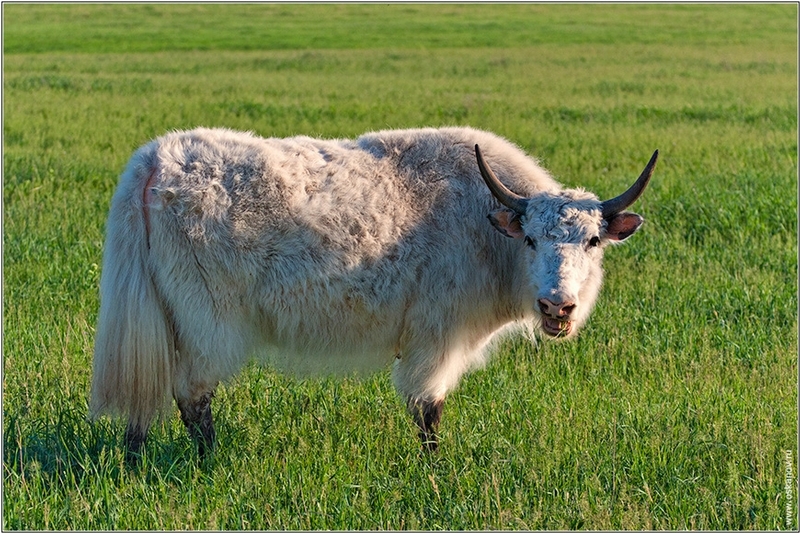 Wild subspecies of yaks has an additional definition – bos grunniens mutus, what means “mute”, these animals produce sounds only in ultimate danger or when having acute pain. 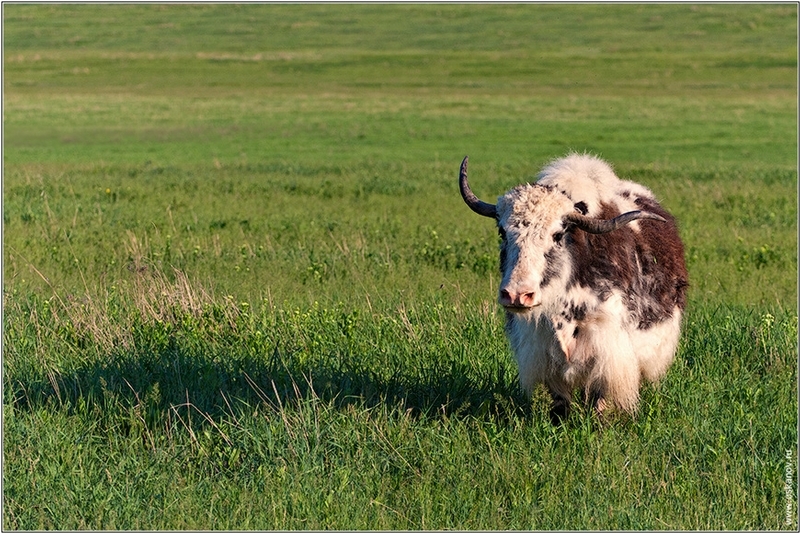 Yaks were domesticated thousands of years ago and are used in Tibet as pack animals and means of transportation. They are widely used in agriculture. In nature in can be a dangerous enemy. 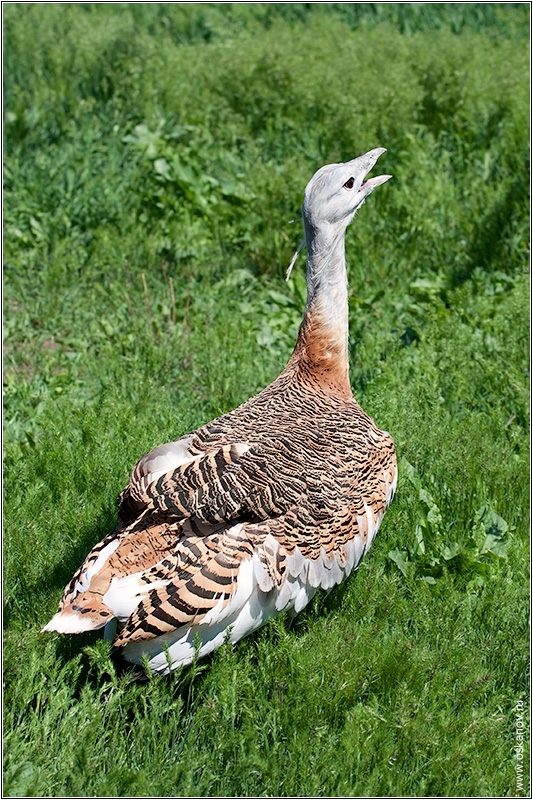 Young animals live in herds, adult ones form groups of 5-7 animals. 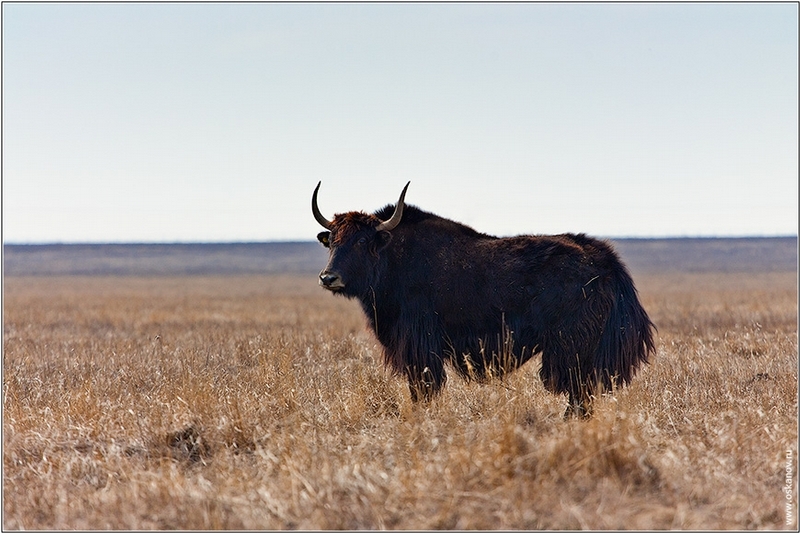 Yaks and bisons could have one common ancestor – a Baikal bison (bos baikalensis) that represented something average between them. 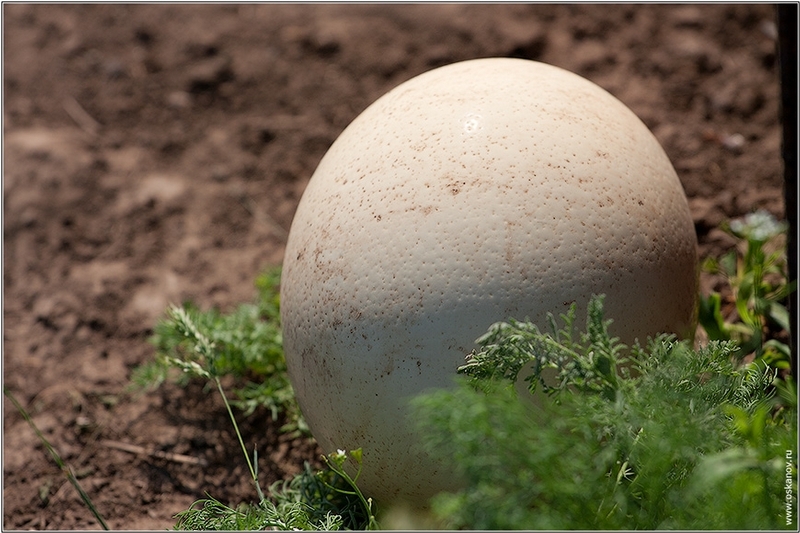 African ostriches have successfully acclimatized here too, and give birth to nestling even in severely cold February. 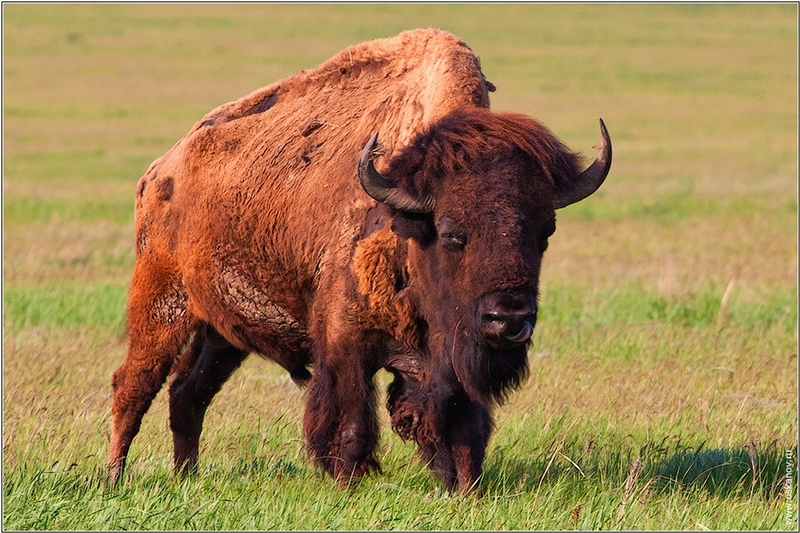 American Bison is the correct name not Buffalo. Actually the wiping out of the Bison was not a US government policy like the wars against Native Americans where.It did of course have a negative effect on Natives.If the US government had had the understanding of ecology that we have today they would have probably had all the troops kill Bison in order to wipe them and Native Americans with them. It is too bad that the Native Americans did not have the technology to counter the threat that they faced.They should have killed every last European that they encountered but with their lesser technology they would have only delayed things. The rule is assimilation or death and not just in American but in every nation. My fav American sports team name? The Buffalo Bison. The destruction of the Buffalos was a huge contributor to the creation of the dust bowl in North America. The herds naturally collect grass seeds with their feet and spread them everywhere they went. Their saliva, which they drool everywhere, contains enzymes that promote the growth of certain grasses. Their weight and their hooves would help put these seeds far enough into the earth so that they could germinate in the arid soil. 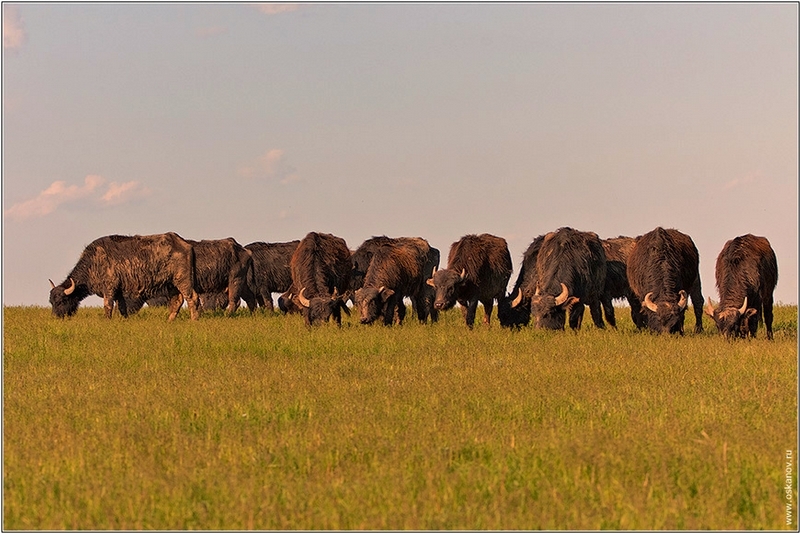 The plains existed for tens of thousands of years before people came along, the buffalo never ate all the grass, they were responsible for planting it. 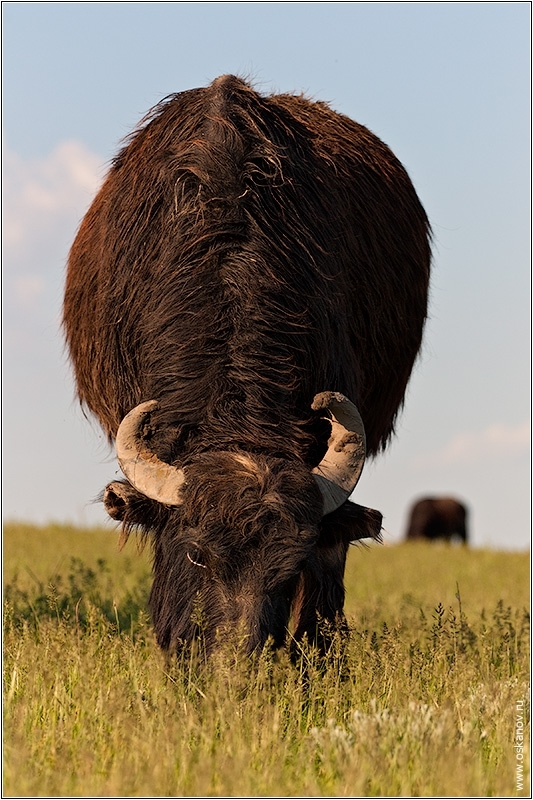 You and yojimbo forgot to mention one important thing; the buffalo (American Bison) is one mighty fine tasting animal! The animals shown here are one of the reasons that I would like to visit Russia. Another reason is the spectacular landscape. 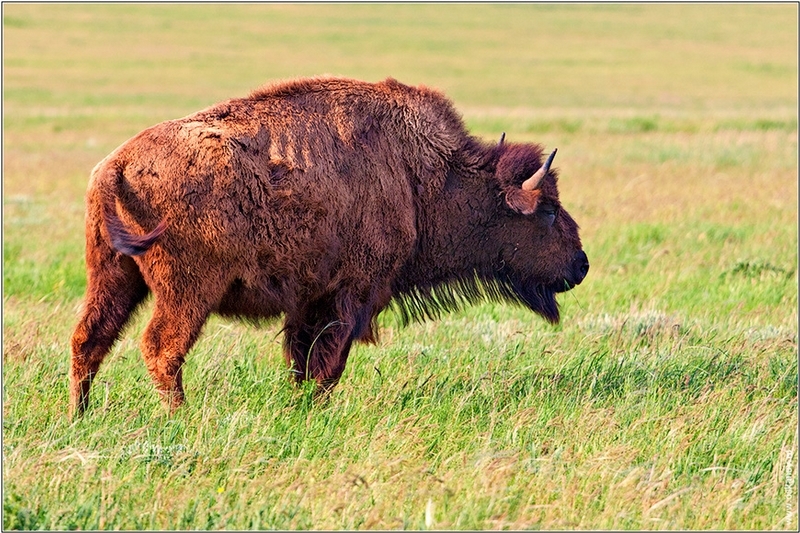 The correct term for the N. American “Buffalo” is the Bison. Altho related they are not real buffalo like the African and Asian varieties. American bisons in Don area? This is news to me. When were they brought there? The church made europeans think they were better than everything else on earth. That they could do anything with impunity. Thus we had the Inquisition, the invasion of the americas, africa & the middle east, destruction of native plants and animals, relocation of foreign plants and animals, etc. !